PLEASE HELP THIS OLD DOG LEARN A NEW TRICK! My name is Tony White and I am a master, award-winning traditional 2D animator. I'm also a full-time instructor at the Academy of Interactive Entertainment in Seattle. Throughout my long career I have done just about everything you could do in animation - over 200 TV commercials, 2 TV Specials, a live action/animation TV Series, several short films and the title sequence for 'The Pink Panther Strikes Again' movie. However, one thing still alludes me. I am still yet to create the single innovative & ground-breaking movie I have always dreamed of creating! For this reason I am 100% committed to seeing a return of traditional 2D animated film production to the USA - even at the 'indie' level! America once led the world in original and innovative filmmaking but now it lags so far behind everyone else! Corporate Hollywood shows absolutely no interest in doing anything about this and is, quite frankly, incapable of thinking outside the notion of animation being anything but 'cartoon films'. So I intend to change all this with a jaw-droppingly amazing indie movie production, 'CULPEPER ~ A Man of Heaven & Earth'. However, I feel terribly under resourced in doing this alone, which is why I'm asking for your support on Patreon! Essentially, 'CULPEPER' is best described as a 'documentary/drama'! Back in 1978, at the very beginning of my award-winning career, I made a similar kind of docu-mation short film... 'HOKUSAI ~ An Animated Sketchbook'. That film went on to win a British Academy Award (BAFTA) among other accolades at the time and is still screened around the world from time to time. So I know that this new kind of innovative animated approach will be popular and respected. However, 'CULPEPER' is much more than just a docu-mation film. It is a hand crafted film that deals with life, death and everything else that goes beyond and between these two great imperatives. The film also seeks to put right the many wrongs that were contrived against the memory of an incredible man, whose beliefs and philosophies are now recognized as being many decades ahead of their time. Nicholas Culpeper was unquestionably an exceptional 17th-century physician, botanist, herbalist & astrologer. But he was cruelly written out of history by the privileged establishment he was always opposed to. Pretty much a puritan 'Bernie Saunders' of his time, he had the courage to stand up to the all-powerful medical profession, economic establishment and even the ruling monarch of his day. Hero and healer to the poor and sick, Culpeper's entire life was devoted to a pursuit of 'truth over superstition' and 'natural healing ahead of greed-based quackery'. 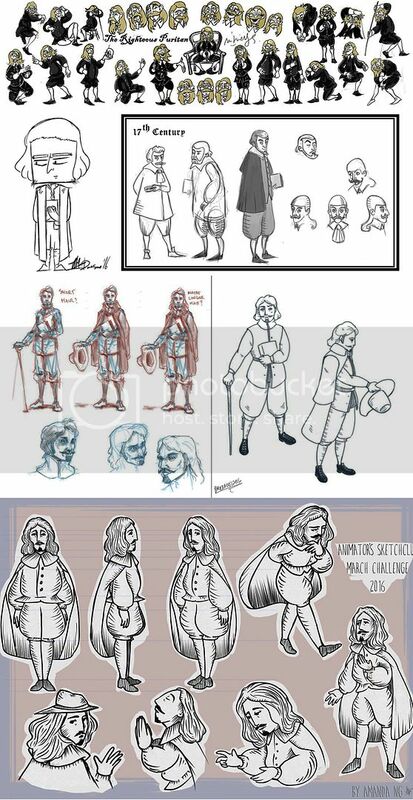 Early character sketches by members of the online 'Animator's Sketchclub' group. Early in my own life I met a similar great herbalist/astrologer, Samuel H. Weir. He miraculously cured my mother when hospitals had pretty much given up on her as she was at last facing an untimely end after a lifetime of debilitating disease. After a lifetime of such suffering, she had been so transformed by Samuel Weir's healing methods that she was able to take on a job for the first time in decades. She was in her mid 50's at that time! As a result of the profound miracle I felt I'd witnessed, Samuel Weir's wisdom and knowledge of healing became a huge inspiration in my own life and the lives of all those others he was able to help against all the odds. (In my eyes he was a 'saint' - especially as, throughout all the time I knew him in his life, he lived in great poverty and refused to charge patients anything for his consultations. Even the herbs and minerals he prescribed were charged at a lower price than you could obtain them anywhere else!) 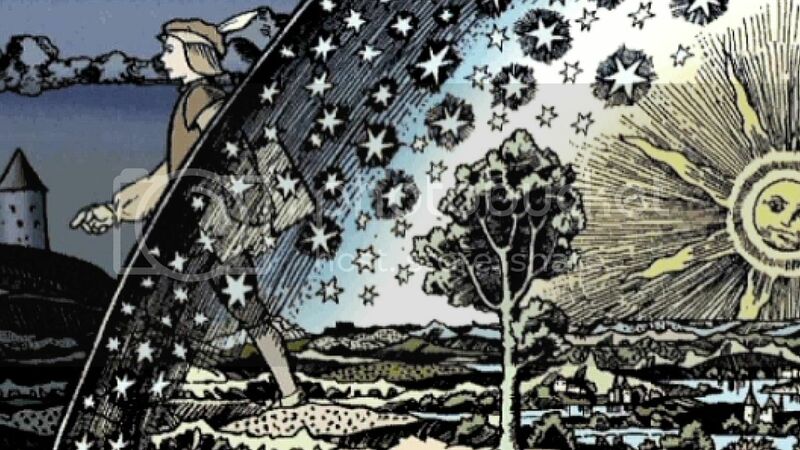 Consequently, much of this profound and transformative personal experience will go into the story line of 'CULPEPER ~ A Man of Heaven & Earth' - through the voice of Nicholas Culpeper who Samuel H. Weir emulated so closely! I do this as I earnestly believe that the message the film will carry can still have so much to offer our materialistic and often depressing world of today. It is undeniably impossible to raise industry support and encouragement for indie animated productions in the US anymore - especially innovative, hand-drawn, 2D-animated indie productions as this. Therefore the plan is to approach this ground-breaking movie project in two stages. 'Stage one' is to make an absolutely knockout short film that that will encapsulate just how I feel about the subject matter and the visual aesthetic that can be achieved with such a traditional 2D approach. 'Stage two' is to take that finished short film to one or two of the more enlightened TV companies in Europe - to hopefully enlist their support in the creation of such a unique TV Movie or two-part TV Special. (Failing that, I will simply keep on working on the movie version in retirement, until the entire film is completed - however many years it may take me to do that!) Suffice it to say however, the creation of the initial short film is fundamentally important to all these plans - which is why I hope you can help me do it! Background concepts by exciting young talent, Peng Zhou. SO PRECISELY HOW CAN YOU HELP? As I'm sure you'll realize by now that I'm totally committed to making this career-defining film on my own if necessary, even though I don't have anywhere near the funds I need to cover everything I have to do. I don't ever plan to use any financial support I get for myself, as my record shows that I've always animated for the 'love' of doing so, not the 'income'. 'CULPEPER' has become a very special project to me however, so I will do whatever I can - for as long as it takes - to get it done! Yet the inescapable fact is that I do need to purchase enough supplies, software and equipment to make my film - and I do really need to be able to afford to enlist the talents of other professionals to assist me, or student interns to learn from me. Both have to be paid, whatever minimal fees they will agree to. I am especially insistent that by creating something so very special like this - i.e. taking high quality 2D art and animation to an entirely new level or artistry and expression - I will also be able to apprentice serious young talents along the way, to lay the foundations of the industry of tomorrow. But I do need some kind of minimal working budget, beyond my own means, to do that - which is where you come in. 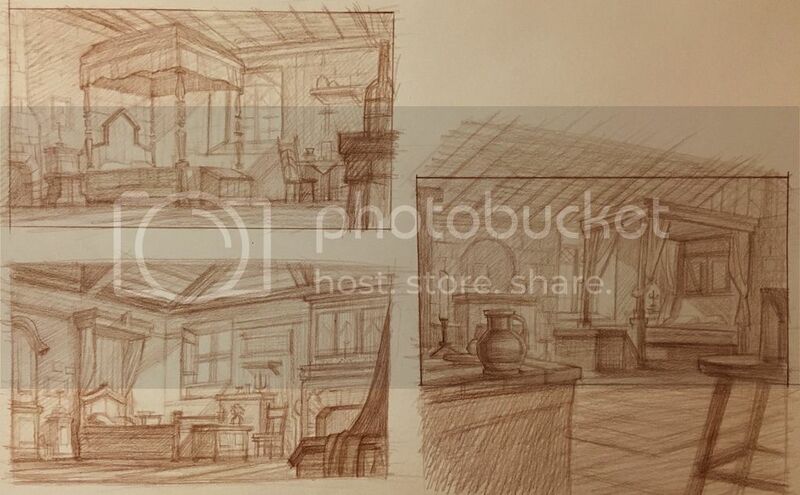 More finished, value-based scene layouts by Peng! I would not feel comfortable in taking from generous patreons such as yourself if I could not give something back. I know too that times are hard these days and many individuals have so little of their precious resources to spare. So I think some kind of rewards are essential. With this in mind I've devised a stuctured series of rewards, underpinned by what I call my ‘1 for 2D’ initiative! The 1 for 2D 'Button of Honor' ~ wear yours with pride! 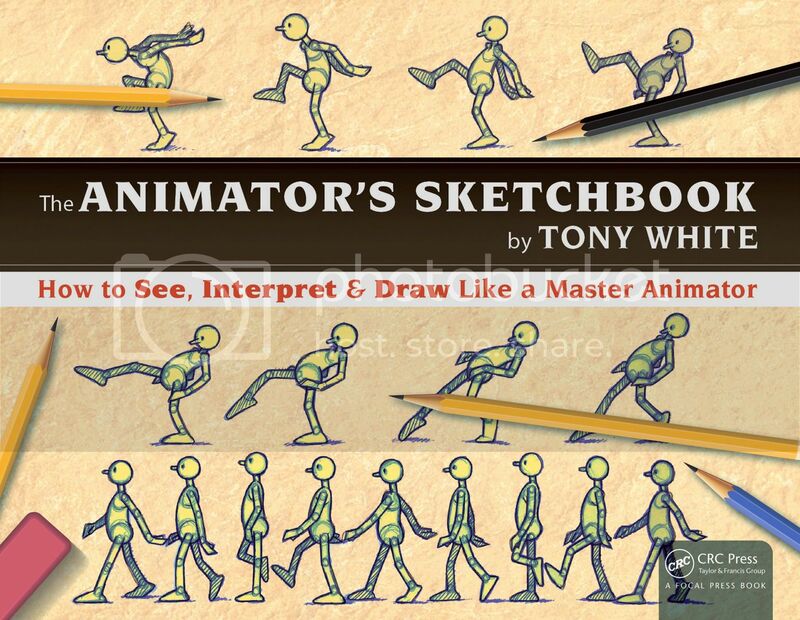 A signed copy of my 'Animator's Sketchbook' - published in August 2016 - is another great reward for all you serious animators out there! ...then you've come to the right place folks! Please become a ‘1 for 2D’ supporter if nothing else! Together we can really make an amazing breakthrough here! P.S. : WHY TRADITIONAL ANIMATION DIED IN AMERICA! In 2002 ‘corporate Disney’ closed down their legendary hand-drawn animation studio, with the result that the rest of the U.S. 2D animation industry effectively died overnight! It was a tragic decision because not only had the late, great Walt Disney bequeathed this corporation an incredible legacy that in that one moment they had thrown away ~ but it also meant that hundreds of the world’s top artists & animators were unceremoniously thrown into the trash can! It also meant that countless younger animation talents, intent on a career in 2D animation especially, suddenly had nowhere to go either. (Note: For a better sense of this unfortunate time, watch the documentary movie ‘Dream On Silly Dreamer’ that was made by the Disney artists about Disney artists at the time!) In the wake of this shameful cull of a great American legacy the rest of the world has advanced significantly ~ creating profitable, innovative and highly imaginative 2D-animated indie movies in the process. (The works of Hayao Miyazaki, Silvan Chomet and Tomm Moore spring to mind here!) This has resulted in the USA not even being in the game any more ~ unimaginable at the height of great Disney, Warners and other American studios that once reigned so supreme. At the $3 per month level you will receive the above - plus I will give you access to our private Facebook blog page, where I'll post regular updates on the project's work and progress. You'll also receive our special 'Button of Honor' at the end of the first 12-month pledge period. That way you'll be able to wear your button proudly - knowing that you've in some way helped advance the cause of traditional 2D animation production one step further! However, to sweeten that pill somewhat, I in return will pledge to send the Top 25 donating Angels a signed & framed original drawing from the teaser animation. (Yes, every frame in the film will start with one or more individual, hand-crafted drawings!) You will be able to choose the drawing you want by viewing the additional personally-signed promotional DVD I will also send you when the short film is completed! (Note: Should there be a conflict of interest in the drawing requested, the highest bidder will always have priority!) Who knows, one of these could prove really valuable one day! The 'top 25' contributors will also be listed as 'Executive Producer' on my final short film production. This amount will enable me to cover all the essential pre-production assistance costs I need to move on with the full short film production - including concept art, character designs, layouts and final audio record & mix. It will also ensure that I can acquire all the core software, art supplies, and audio editing services I will need. This goal is the minimum amount I need in my 'stone soup' budget scenario!